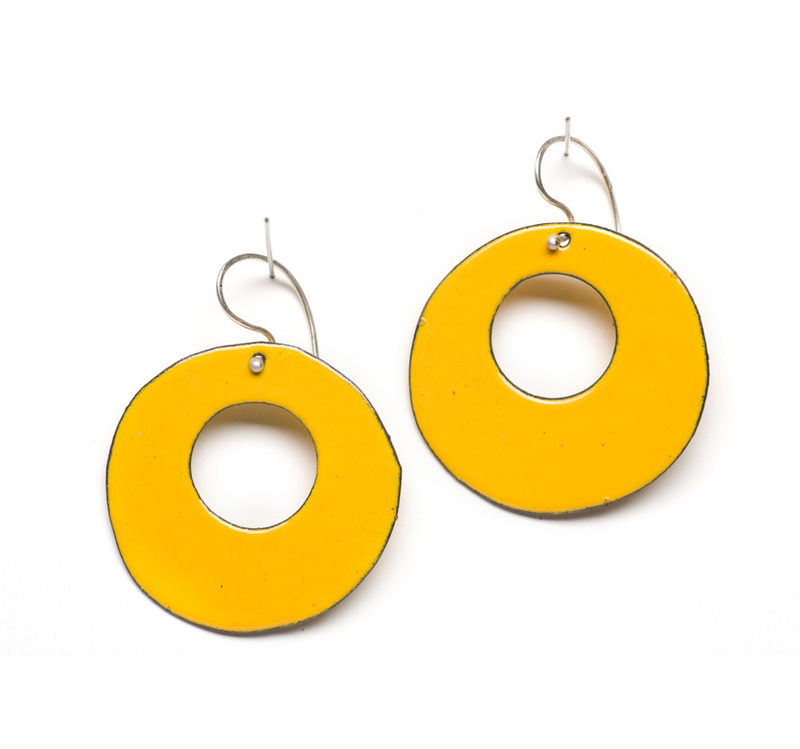 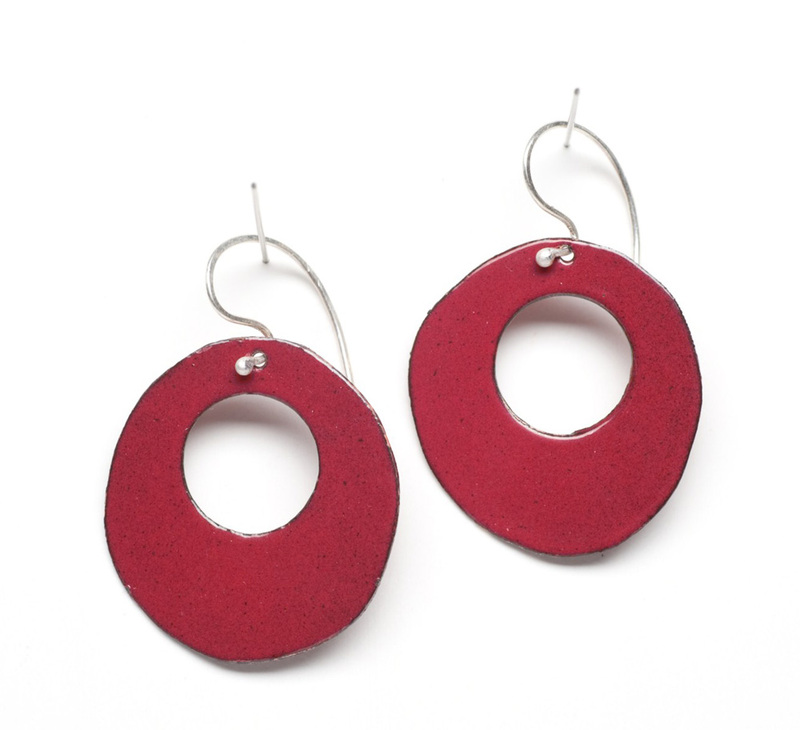 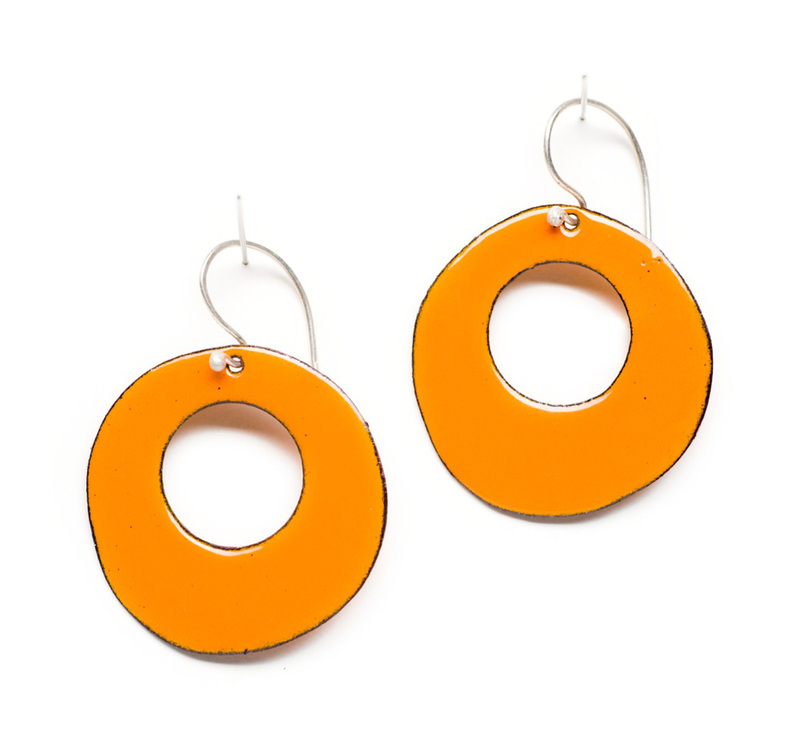 These retro inspired round enamel hoop earrings are enamel on copper with a handmade sterling silver ear wire. 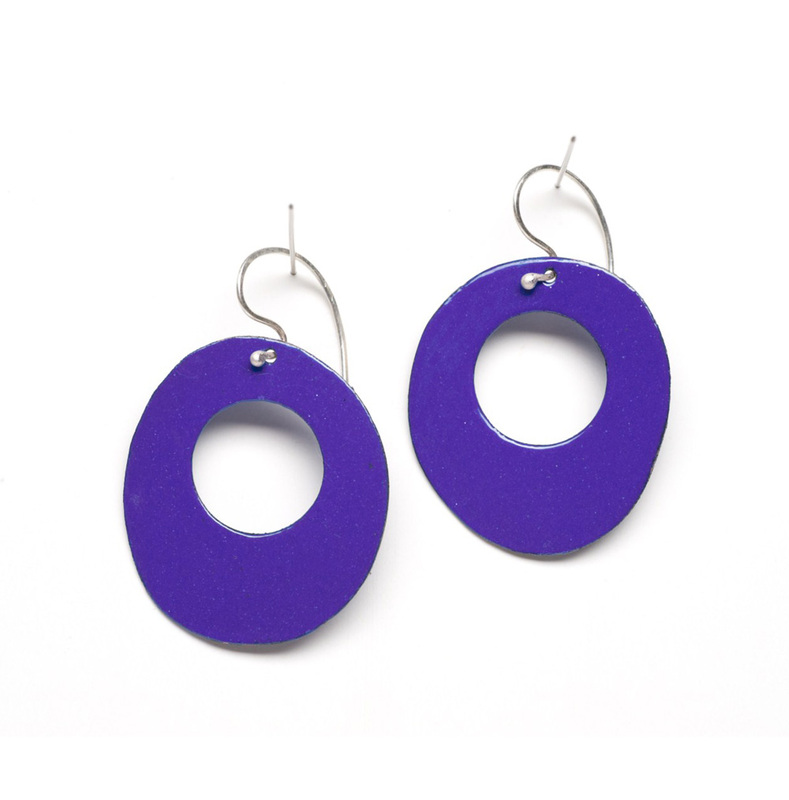 Because they are hand-cut, each pair is slightly different and measure about 1 1/2-2″ long. 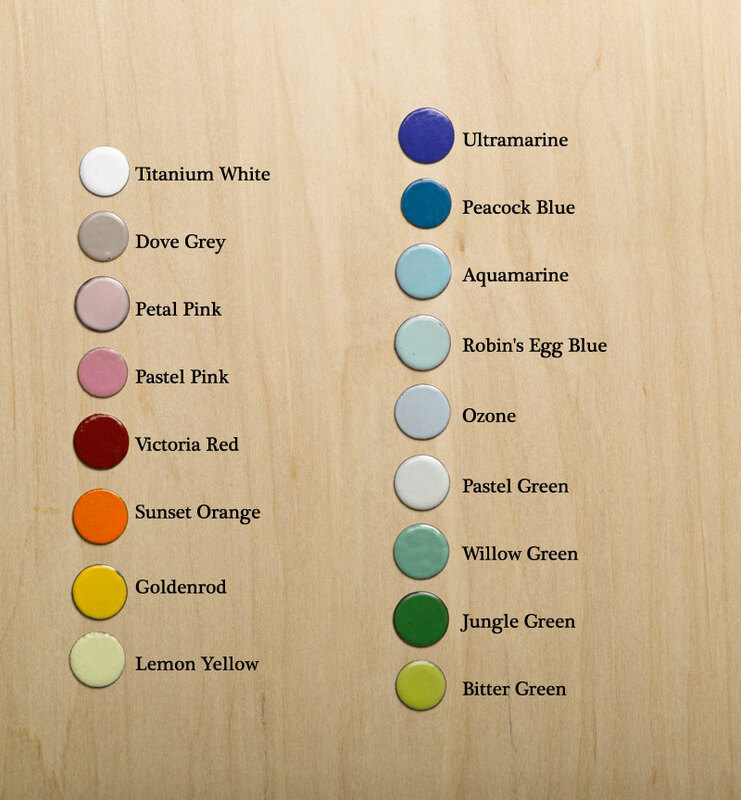 Choose from an assortment of colors.